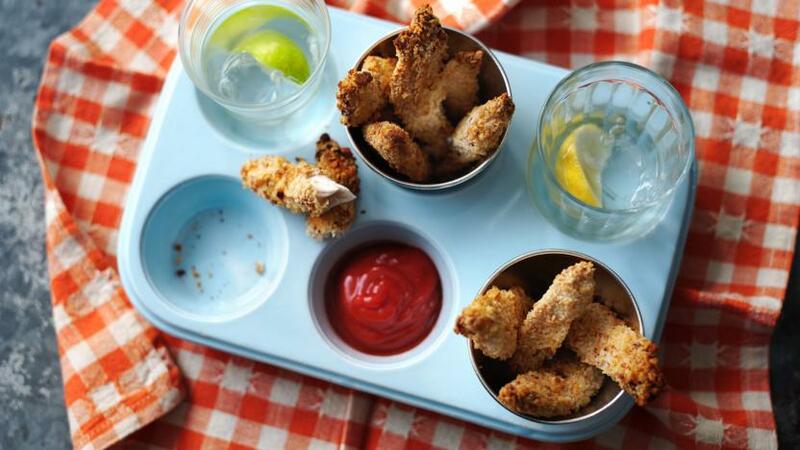 Homemade chicken goujons are a healthy alternative to the freezer staple, and this easy recipe is great for kids' parties! Mix the breadcrumbs, cayenne pepper in a shallow bowl. Season, to taste, with salt and freshly ground black pepper. Place the flour in another shallow bowl. Drizzle the goujons all over with more of the vegetable oil. Serve the goujons with ketchip, barbecue sauce or in a soft white roll.